The final 2018 quarter has been placed on-stage at the All Star Movies resort. This completes the set of 15 dated coins for 2018. The coin was to be placed at Stage 1 Company Store (the Muppets store) in Hollywood Studios, but part of that store is being renovated. This leaves Hollywood Studios as the only park without a dated quarter – but we’ll accept it! This entry was posted in Florida, Hollywood Studios, Resorts/Hotels, Theme Sets & Year Sets, Uncategorized on January 24, 2018 by jnmcnally. There will be 15 coins, as in 2015 and 2016. The locations will be the same as where the 2016 machines ended up (remember – there were some moves during construction at Hollywood Studios) with one exception. Again, there will be 8 pennies, which includes a numbered series of 4. There will also be 7 quarters. The exception: One of the 2016 pennies had ended up at Island Supply Co./Verandah Breezeway in Adventureland. Two machines at that location have been removed, according to the maps (I will confirm their status in mid-January when I visit). 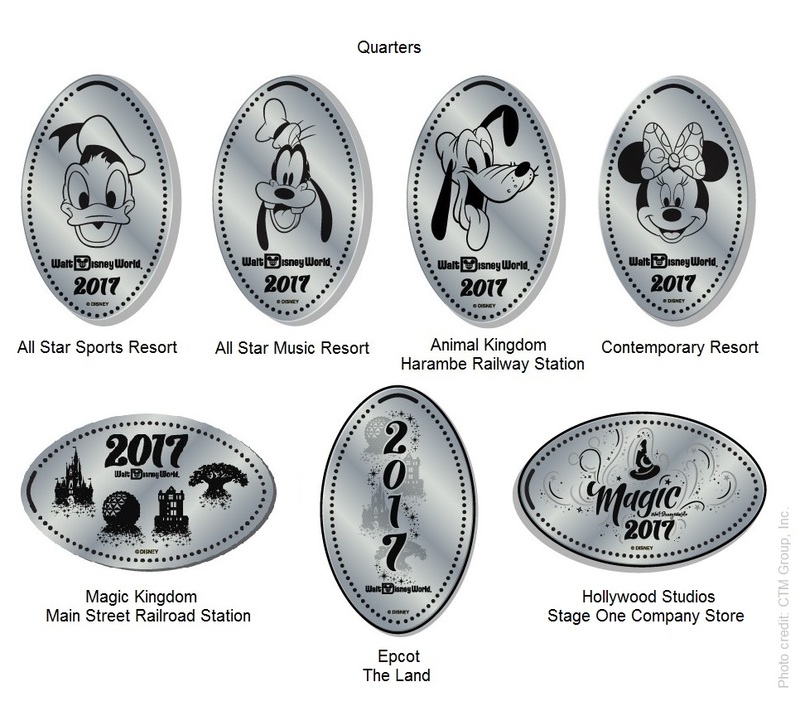 To replace the 2016 design, a 2017 design has been placed at the 3-die machine at Rock Around the Shop, the coaster gift shop at Hollywood Studios. 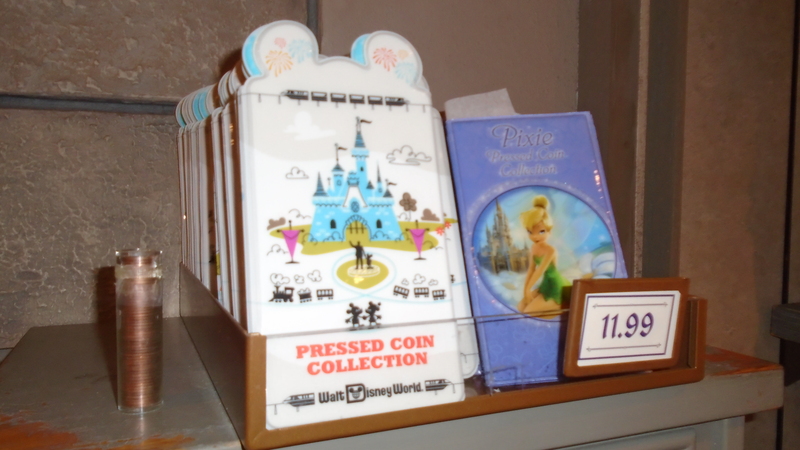 The new coin at Rock Around the Shop replaces the old Walt Disney Studios design with a silhouette Mickey and camera. Hollywood Studios has struggled with name and icon changes over the year – the Earful Tower was once the symbol of the Studios, replaced by the Sorcerer’s Hat. Now it appears the Tower of Terror is the icon representing the Studios, at least on three of these coins. January 2 update: Not all the coins were on-stage as of January 1. It appears (as in years past) it might take a few days for all to be ready. This entry was posted in Animal Kingdom, Epcot, Florida, Hollywood Studios, Magic Kingdom, New machines, Resorts/Hotels, Retired/removed, Theme Sets & Year Sets on December 31, 2016 by jnmcnally.